I know it took me a while to do the second part of my summer essentials post, but that's because I recently changed a lot in my make up routine for this summer and I wanted to be sure of which products exactly I'd show you. 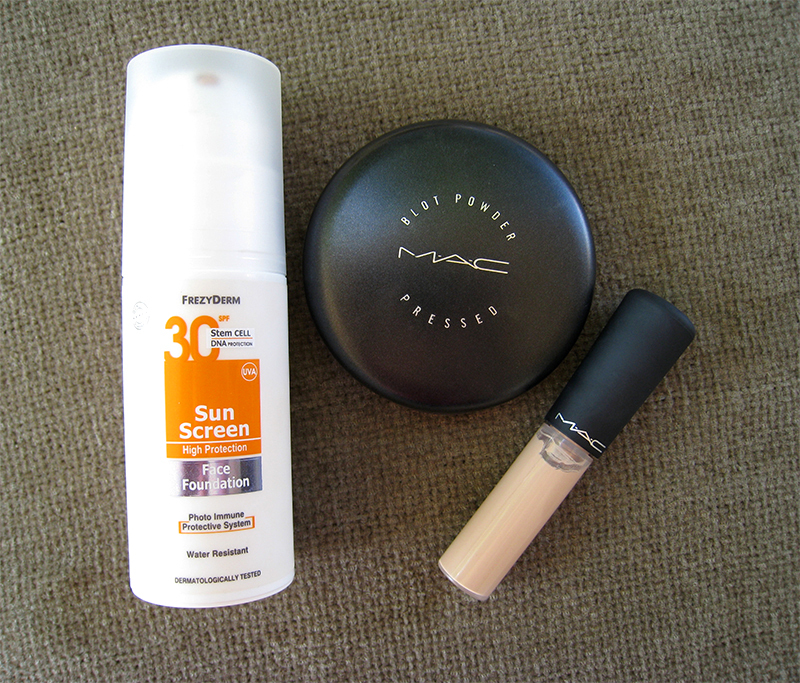 These are the products I use all the time now, and I think they're pretty much what everyone likes to use when it's summertime and we're kind of lazy with our makeup routine, and do things more quick. I've been the laziest person ever when it comes to make up lately, and I was looking for a product that would act both as a sunscreen and a foundation together, so instead of using 2 or even 3 different products on my face I decided to just stick with one, and I found this amazing product, the Frezyderm Face Foundation Sunscreen SPF30, it's the perfect combo of a sunscreen and foundation in one, I only wear this and I'm ready to go! As for concealer I always prefer liquid concealers in the summer because they're super easy to blend. 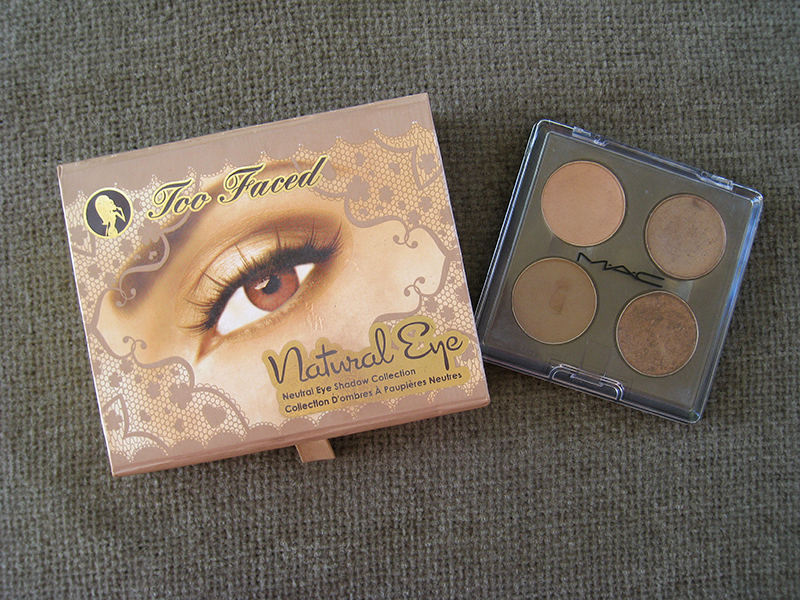 Right now my favorite is Mac's Mineralize concealer, I use it under my eyes and around my nose or on top of any blemishes I might have and it covers them perfectly. And because a powder is always a necessity, the best one in my opinion that everyone must have in their make up bag is a blotting powder, because it's summer and most of the times we end up looking very greasy after a few hours. My absolute HG blotting powder for many years now is Mac's Blot Powder. 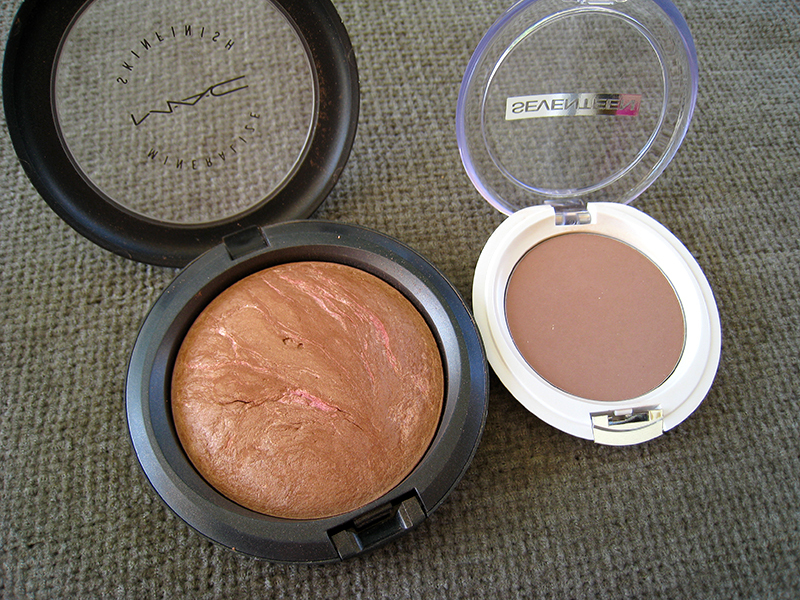 One thing that is always a must have in the summer, is a bronzer. You can use a traditional bronzer or a brown blush, I alternate between these two, Mac's Sunny By Nature Mineralized Skinfinish and Seventeen's Matte Blusher in Cafe Au Lait. I like to use them with a big fluffy powder brush such as the Real Technique's Blush brush on my cheekbones and forehead for a more all over bronzed look. 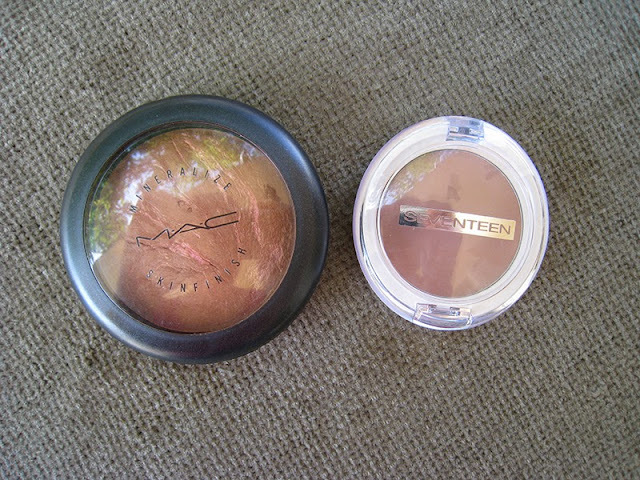 The Mac Sunny By Nature is more of a peachy toned bronzer and the Seventeen one is a straight brown shade, I love them both. 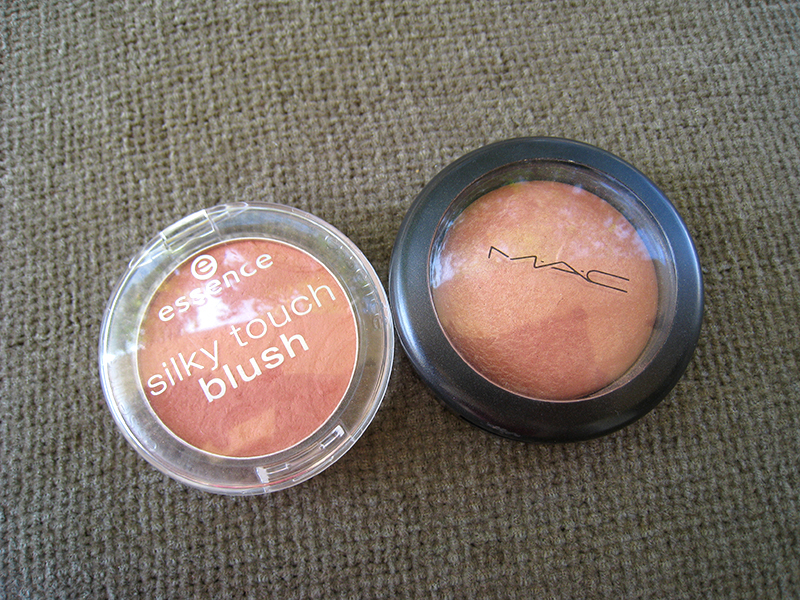 As for blushes, I think the safe choice is always a peachy one, at least I always go for the peachy ones! A blush that really impressed me the past year is the Essence Secret It-Girl, a beautiful true peachy matte blush, super cheap and also permanent. 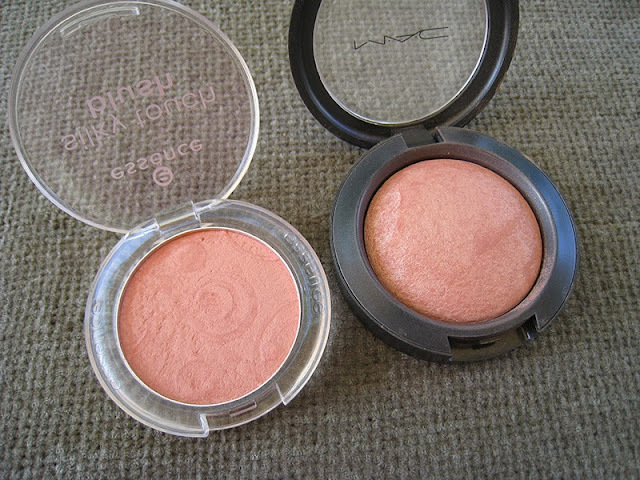 A peachy-bronze blush is also a very good choice, Mac's Nuance Mineralize Blush is one of them, and it can also be used as a highlighter because it has a beautiful golden sheen to it, unfortunately it was limited edition many years ago, but I'm pretty sure you can find a similar one. 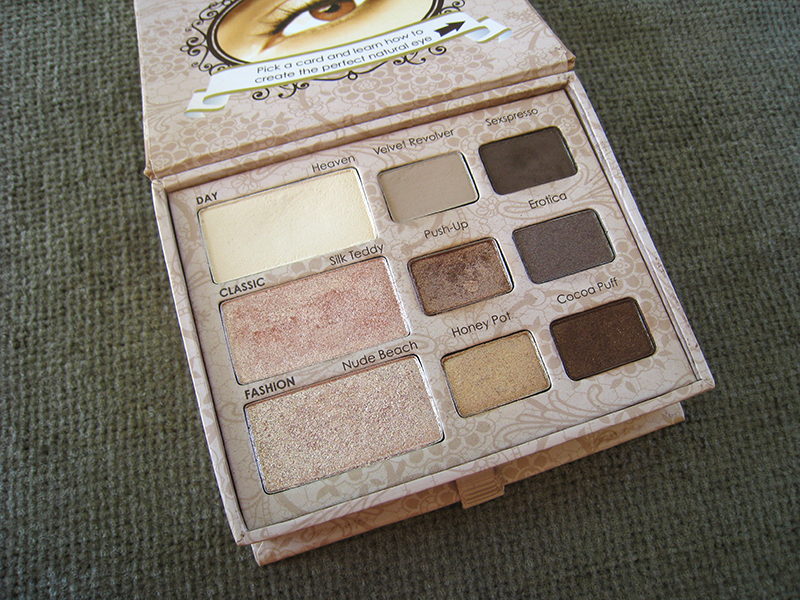 When it comes to eyeshadows I always go for the bronze ones, sometimes I only use one all over my lids and I'm done. You can get a beautiful premade eyeshadow palette full with neutral shades, such as the Too Faced Natural Eye palette which is the best premade eyeshadow palette I've ever used. 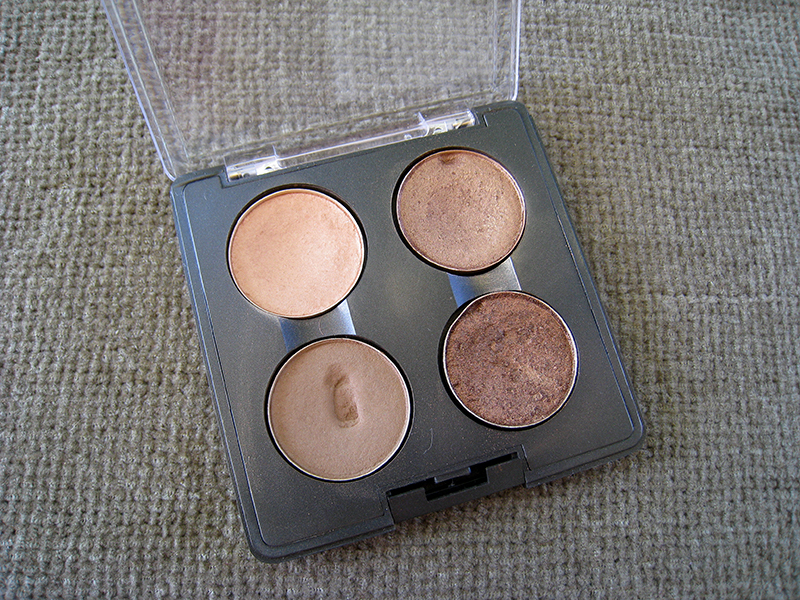 Or you can make one on your own, Mac has some beautiful neutral shades in their collection. My favorite quad consists the shades Arena which is a light satin peachy shade to use all over the lids as a base, Time & Space which is a medium bronze shade perfect to use it on its own on the lids for a bronzed eye look, and it's very similar to Woodwinked. Cork, a medium matte light brown shade for the crease, to give your eyes more depth and last but not least Bronze, a beautiful dark bronze-brown shade for the outer corner. For eyeliner, even though I rarely use it at summer, you can always go for a bronze-brown one to compliment the neutral eyeshadows. 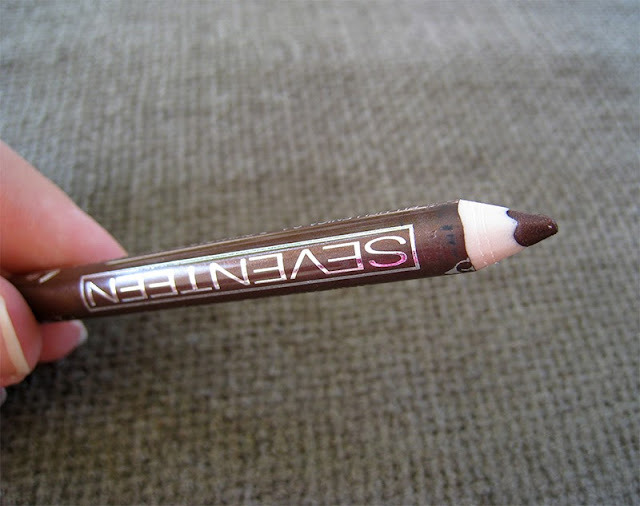 My HG is Seventeen's Brown Pearl 05 Super Smooth Waterproof pencil, it's also very long lasting and it doesn't crease even when it's super hot outside. 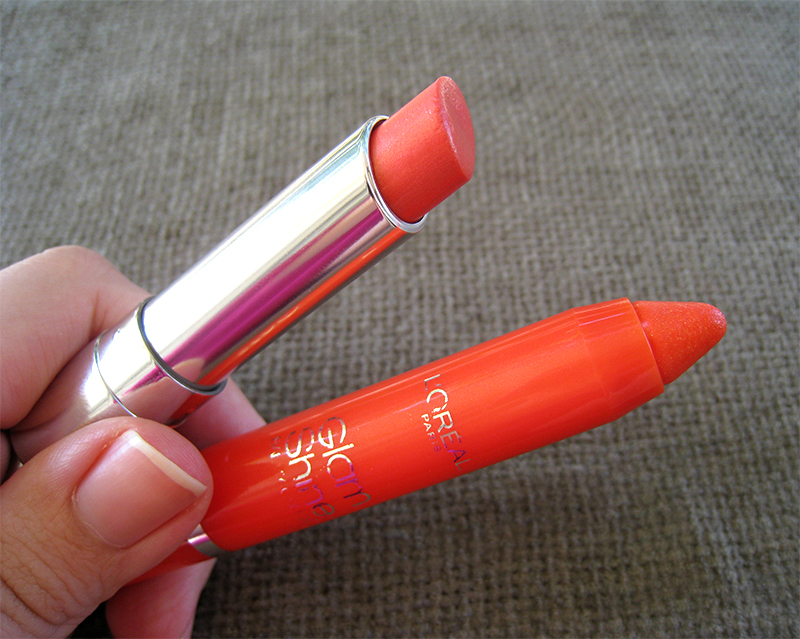 For lips I always go for coral and orange, the perfect shades for summer lips! Dior Addict in Delice is one of the most beautiful coral lipsticks I've ever tried so I had to include it in my summer essentials, it's very soft with a glossy-balmy texture, I could only wear this all summer! And for something less expensive and more affordable the brand new L'oreal's Glam Shine Baume Gloss in Bite The Maracuja, it's still coral but more orange than the Dior one with golden shimmers, I also love the baume texture, it's very moisturizing! 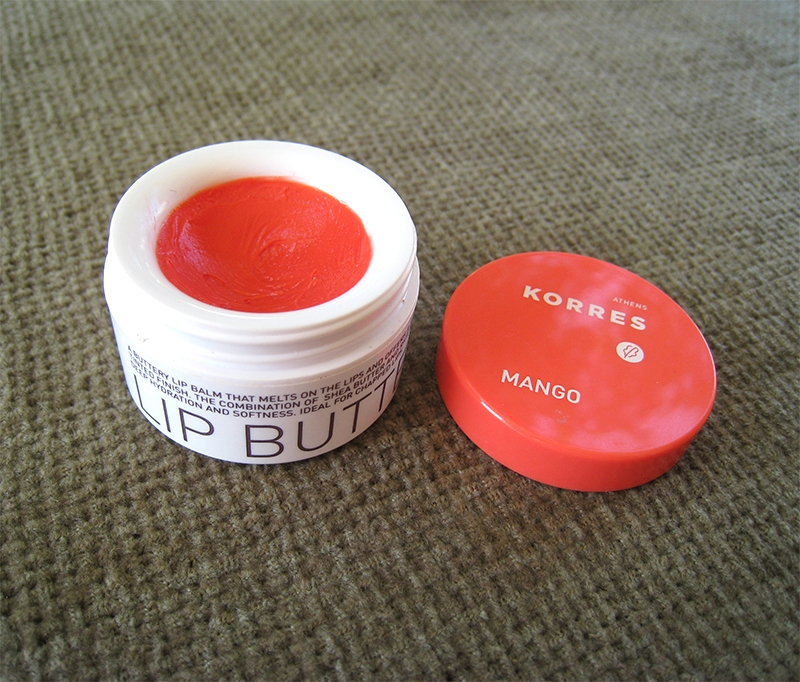 And for those who prefer to use only lip balms at summertime, Korres Mango Lip Butter is one of the best! It's a tinted lip balm, a beautiful true coral shade, and the texture is just perfect, not super glossy more on the waxy side and it makes the lips look flawless. The Korres Lip Butters have the most incredible texture of all the lip balms I've tried. And lastly nails, how could I ever forgot nail varnishes, in my opinion it's the most fun part when it comes to summer beauty. You have so many options, so many colors to choose from, pastels, corals, reds, neons, and as you can see from the picture I always go for the neon ones! The three neon shades I enjoyed the most this summer are the China Glaze You Drive me Coconuts, a beautiful purplish pink with a jelly finish, Model's Own Pink Punch a medium coral pink shade, one thing worth mentioned for this varnish is that it has one of the best formulas I've ever tried in a neon varnish. And last but not least Nails inc. in Portobello, an orangy-coral shade with a glossy finish. So these are my make up essentials for this summer, I hope you liked them! 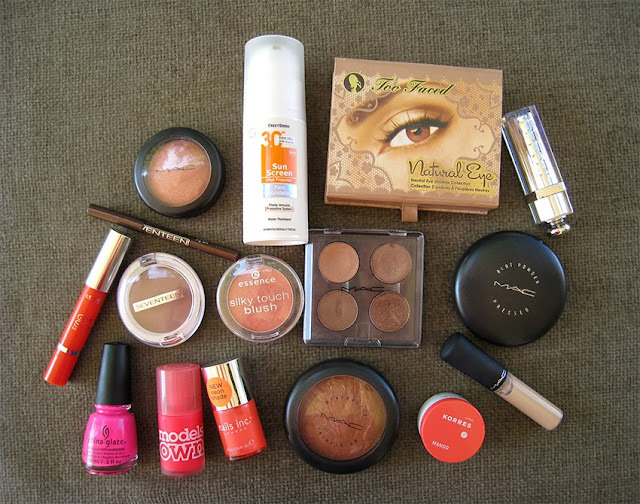 I want you to tell me what are your summer make up essentials. Have you tried any of the products I mentioned? Let me know! αχ τα αγαπω ολα! !τα models own τα πηρες απο καποιο καταστημα? Το πηρα οταν ειμουν στο Λονδινο, δεν ξερω αν μπορεις να τα παραγγελεις απο καπου online. Θα 'θελα να δοκιμάσω το sunscreen/foundation, αλλά βασικά θέλω όλα τα MAC που δείχνεις! Πόσο όμορφη η παλέτα της Too faced! Ολα ενα κι ενα.Εμενα παλι το ματι μου επεσε στις σκιες.την arena ουτε καν την εχω προσεξει.η bronze πολυαγαπημενη κι οσο για καφε μολυβι αγαπω το teddy εχει ωραιους ιριδισμους! To rouz tis Seventeen einai teleiooo! Δεν ειναι λιπαρη ουτε βαρια σαν αισθηση στο προσωπο, ειναι λιγο πυχτη αλλα μονο οσο την απλωνεις μετα ειναι μια χαρα. Η καλυψη της ειναι φοβερη, βασικα ειναι foundation οχι tinted cream γι'αυτο εχει καλη καλυψη. Polu wraio to post sou! Είναι όλα πολύ ωραία! Λάτρεψα το Dior κραγιόν! Yπέροχα όλα, λατρεύω αυτές τις αποχρώσεις στο μακιγιάζ!